Off lately, I have started to write about books so much. The best selling books of all times, my favourite online bookstores and now, I am finally here - talking about my dream reading space. For someone like me, who can read anything and everything, a reading space matters a lot. Though I can read anywhere, but I always need that environment where I am there with just my book - in my own world. Reading a book is a sacred activity for me. When I am on a move - in the Metro train or in flights, I usually plug in some good, soothing music in my ears (without lyrics) and start off reading. This way I am cut off from the world outside and I make sure that the book that I am reading gets my complete attention. When at home or some place where I have peaceful environment, I will sit in some cozy corner and get lost in to the world of words! Libraries have been my escape places. I remember how I enjoyed sitting on the floor of my college library and reading my favourite books! 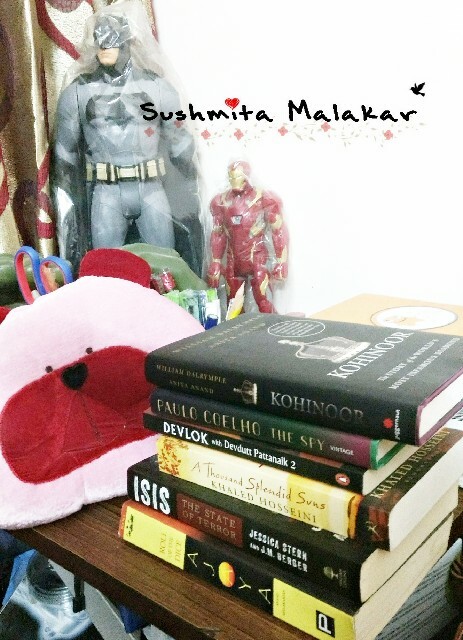 My side table at home has a li'l pile of books that I am currently reading. I have this habit of reading more than one book at a time - who wants monotony in life! My bed is my comfortable corner when reading a book at home. I have always dreamed of having a reading room or corner at home. And thus I wanted to describe my personal reading room - how I want it to be! My reading space should be as simple as it can get. A beautiful but huge book rack, with a comfortable couch to recline on and a side table lamp. That is it. My reading corner should be at the window overlooking the city - in my head my home is in a high rise building! 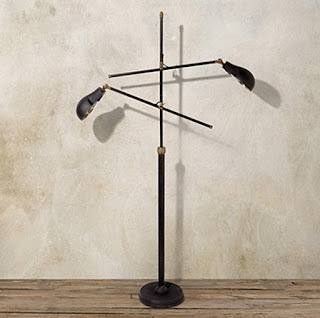 So far, I could just find the perfect lamp - you see, I am building my house brick by brick! You can check out some more great lighting options here! Do you think you can suggest something for the comfy couch? This place has got some super amazing options! I am on a constant search for some good idea for my reading space. Suggestions are always welcomed! 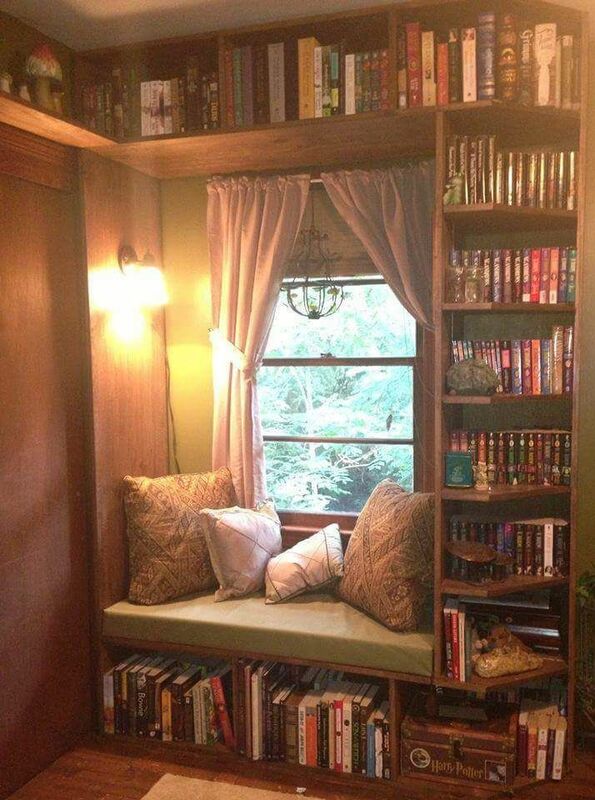 That's a beautiful reading nook.I have made a reading nook.Will share . Wow that is such a beautiful reading corner. 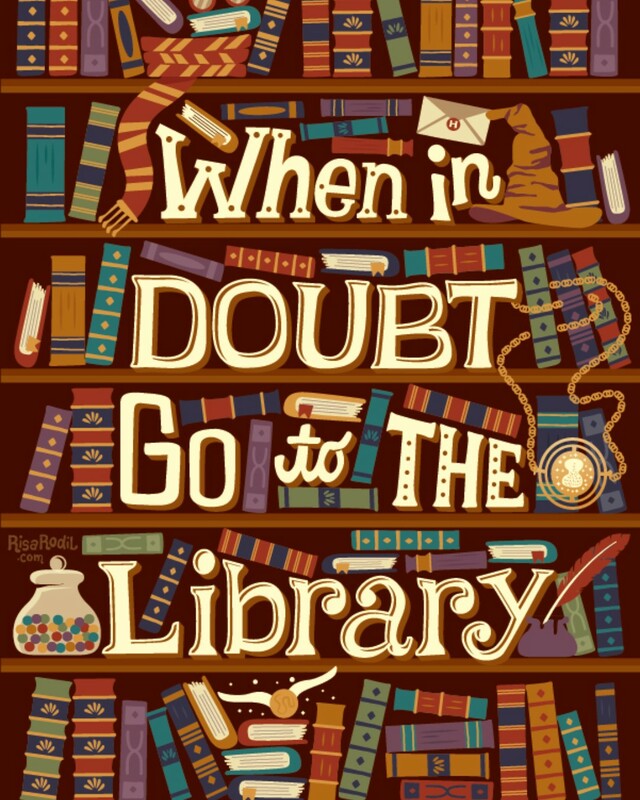 I share your love of books and libraries. There is nothing like a good book and a couch to read it. I know right!books are the perfect escape. A book nook is a mini world a book lover can spend an entire life in. Some lovely pictures and a nice post. Reading is a journey within. With each story, we discover a little more about ourselves. So true! I totally agree that how reading is about discovering yourself. For me, reading is liberating. Having a reading corner is every bibliophile's dream (if haven't got one), and I'm no alien. I too read more than one books at a time. Your's dream reading space sounds amazing and so serene. I can feel the smell of books. My idea of a perfect reading room would also have a fireplace, for which reckon will have move to a colder region. Ooooohhh, a fire place sounds fancy and amazing!